Hi friends! I was recently contacted by a wonderful teenage girl named Allie who came across my blog and wanted to share some links about Autism with me. She asked me to help her help others with Autism and who am I to say no? Of course I wanted to help her. Here is a guest post she so awesomely wrote specifically to share with my readers. Please take the time to read informative post and leave her a comment here! As I’ve gotten older, I’ve grown more confident in my ability to speak out about what children and teens with Asperger Syndrome experience. And in trying to educate my classmates and even some adults about Asperger Syndrome, I’ve found that there are many misconceptions about it. Below I’ve addressed a few of the misconceptions that I think are the most damaging for young people with Asperger Syndrome. We are unable to interact well with others. Many people think that people with Asperger Syndrome or autism can’t have a conversation with someone else or that we have poor social skills. But that isn’t always the case. I used to be very anxious in social situations where I had to be around a lot of people. However, swimming helped change all that for me. Swimming gave me an outlet for my anxiety and a common ground with the peers on my swim team. In fact, swimming can have many positive effects for kids with autism and Asperger Syndrome. To learn more about how being in the water helps people with autism, check out this great guide on the benefits of aquatic therapy. We like being alone. This misconception can be really painful for those of us growing up with Asperger Syndrome. As this article from Parenting.com notes, often it isn’t that people with autism like being alone, it’s simply that they do better in smaller social situations. Being in a situation with a lot of people can be overwhelming for me, but like the child described in the article, I do well in one-on-one social interactions. When I was younger, many kids simply didn’t want to take the time to get to know me or didn’t want to be seen talking to me on their own. It was very difficult for me to make friends and eventually, I think people began to think that I just liked being by myself. But that wasn’t the case at all. We don’t have emotions. I think this misconception is connected to the one above. People assume people with Asperger Syndrome don’t have emotions and think that’s why they’re okay being alone. But as RaisingChildren.net notes, we absolutely do experience and feel emotions. We simply might not be as successful as others at expressing those emotions. We will grow out of our Asperger Syndrome. 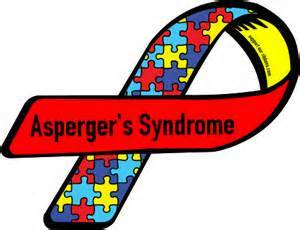 Many people think that Asperger Syndrome and autism are childhood disorders. But in its article on myths about Asperger Syndrome, PsychCentral.com explains that it is a lifelong disorder. In my experience and as I get older, I find that this myth contributes to another misconception, which is that people with Asperger Syndrome are acting outside what is perceived as “normal” on purpose. Again, that simply isn’t the case. And in fact, I think you’ll find that many people with Asperger Syndrome and autism, including myself, have actually worked really hard to curb the aspects of our conditions that put us on the outside. The best way to end these misconceptions is to educate others about them. I strongly encourage other teens with Asperger Syndrome and their parents or caregivers to spread the word about what having AS really means. Allie Gleason, a teen with Asperger's Syndrome, is part high school student, part volunteer-intern-extraordinaire at EducatorLabs, part cheerleader for all those affected by ASD. Writing has become a huge outlet for her; she appreciates you taking the time to read her article! Allie, thanks so much for taking the time to educate about Asperger's and autism. I think that people just do not know enough about how to deal with these issues. I am sure that you will be successful in all that you do and wish you the best. Allie, great article. I agree with everything. We all have feelings no matter who or what we have. Hugs and thanks for sharing! Allie, I love that you are working to inform others and for being open and vulnerable with the rest of us! You are truly a wonderful writer and so great at putting a post together that is concise and educational! Kudos to you! Allie....what a wonderful article....and wonderful for you to share to help educate others! Thank you so much for sharing your story and best of luck to you in all you do!! What a wonderful and informative post. Thank you, Allie for sharing this and for speaking out. Thanks for sharing your story. You sound like such a great kid! Great post! I definitely learned some new things from it. You are well spoken and articulate and I think doing a great job to spread the word and help raise awareness!